Seniors are important because of their long accumulated knowledge, experience, and wisdom. Seniors are important because, if given the opportunity, they have much to teach us. Seniors are important because they can be helpful in our applying lessons of life, e.g. self-esteem, self-respect, self-discipline. 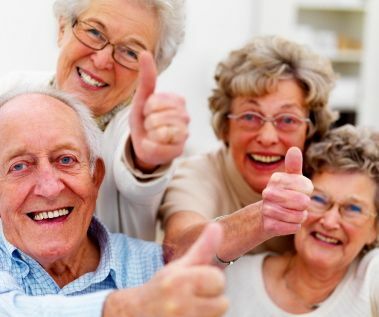 Seniors are important because they offer a great deal of satisfaction and joy to be around them. Seniors are important because of the practical experience they offer. Seniors are important because they have so much to give, intangibly, to us. Seniors are important because they have learned the lessons of humility. Seniors are fun companions, when we learn how to be in their company. Seniors know things we would never guess unless we ask. Seniors can help us deal with disappointment and grief, illness and heartache. Seniors know how important a sense of humor is. At the River Community we value our seniors and believe that they play an important role in all of our lives. Our goal is to invest in our seniors by providing bible studies, worship services and communion services. And here is the best part; we go to our seniors by meeting in Senior Living Communities.